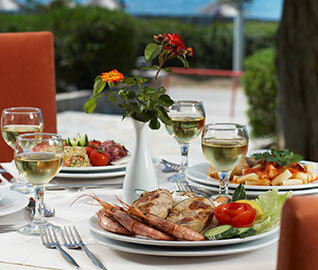 In the south end of first Peloponesse Peninsula, opposite of the island of Spetses, Nautica Bay hotel is in Porto Heli. 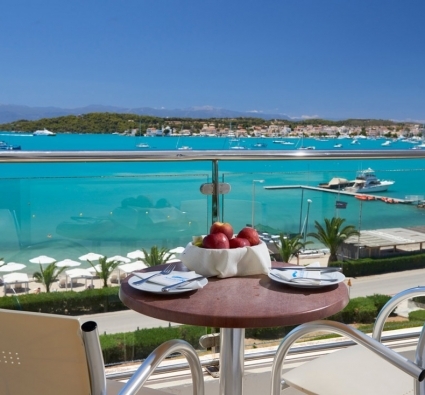 In one of the best naturally protected ports, the bay of Porto Heli streches in the front of the hotel from the south end wherewe have the ancient town ”Halias” to the west end where we find Porto Heli town. 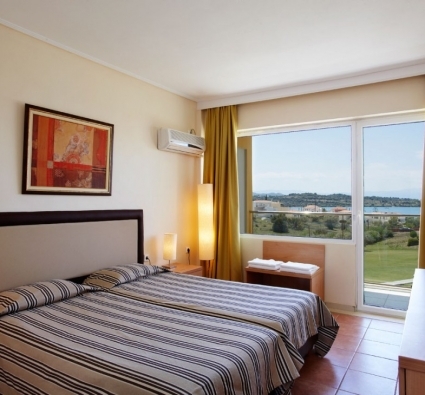 Our hotel Nautica Bay – 3 star – is beneficially located in the centre of Porto Heli bay and 1200m. from the centre of the village. 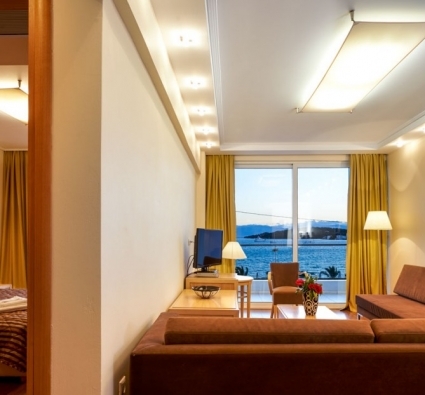 Nautica Bay hotel offers 164 different types of rooms. In a 35.000 sq.m. garden, the rooms are divided in 9 buildings. 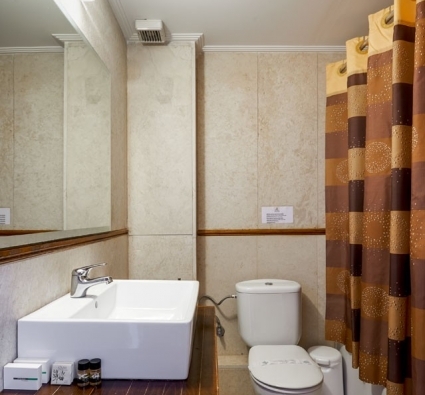 The main building accommodates 2 floors of 20 two-bedroom rooms. The remaining 8 buildings, are amphitheatrically distributed and are constituted by 2 floors of 8 rooms. 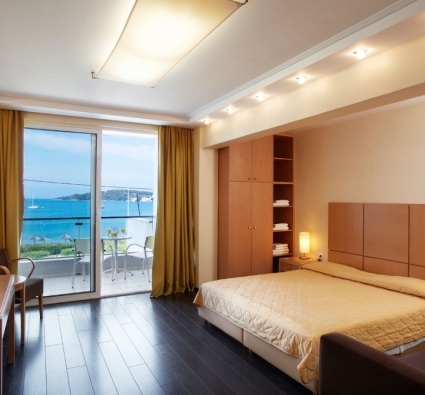 Most of them have a sea view and a swimming-pool view of the hotel. 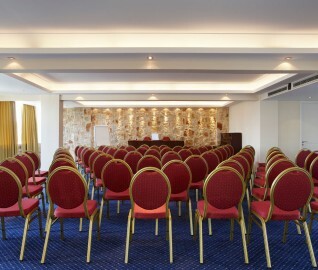 Nautica Bay hotel in Porto Heli offers a hall for wedding and christening events. 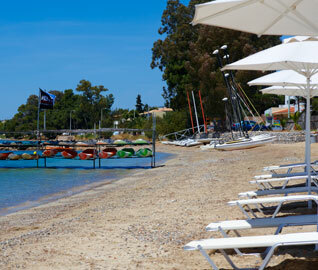 One of the best sailing centers in Greece, operates on Nautica Bay beach. 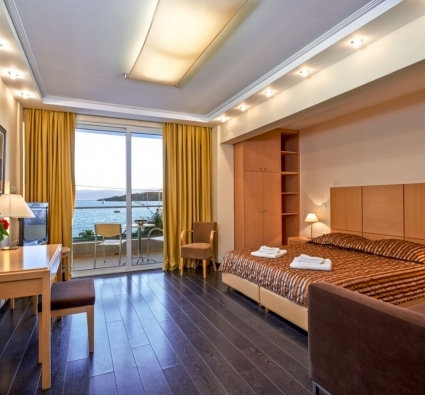 Nautica Bay offers a room, approximately 120sq.m. with 70 conference type seats.